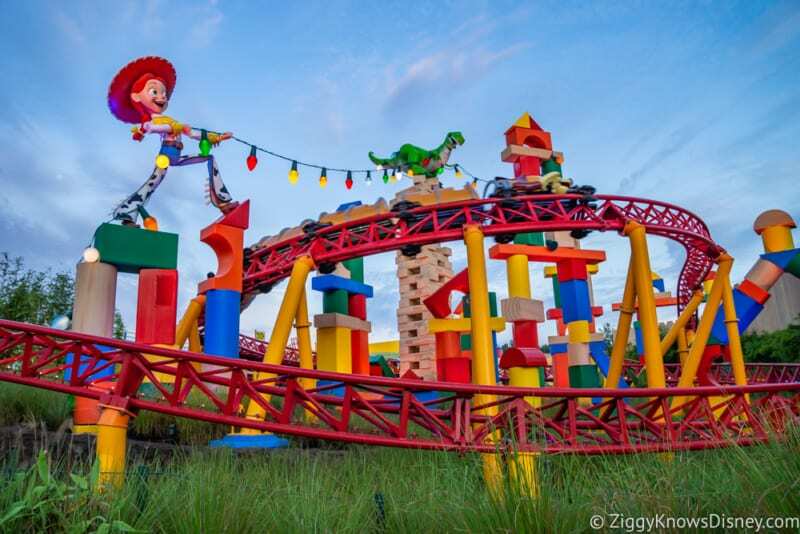 Since I’ve been to Toy Story Land I’ve had many friends asking me about it, and I keep coming back to the same response: “It was more fun than I thought it would be.” While that isn’t exactly a ringing endorsement, we really enjoyed it. From the moment we were ushered into the land on opening day at 6am, the whole place just looked and felt fun. And that’s something that I wasn’t sure I’d feel after news of budget cuts leading up from the time it was announced back in 2015. And even though Toy Story Land on the surface is targeted at kids, it’s really the adults that will appreciate all the hidden details worked into the land. Those details in the theming are one thing we really loved. After all as a guest in Toy Story Land you are now an “honorary toy” and I have to say Disney did a pretty good job of making you feel like one. There are callbacks to so many toys and games scattered throughout the land that anyone having grown up in the 60’s-80’s will really appreciate and love. Things like Tinker Toys, Dominoes, Cooties, Crayons, Yahtzee, the list goes on and on. All the elements of the land are very colorful too, visually appealing and really setting the mood. 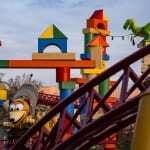 We have even more photos in our Complete Toy Story Land Walkthrough. Disney Imagineers also did a decent job trying to get the scale right on all everything. 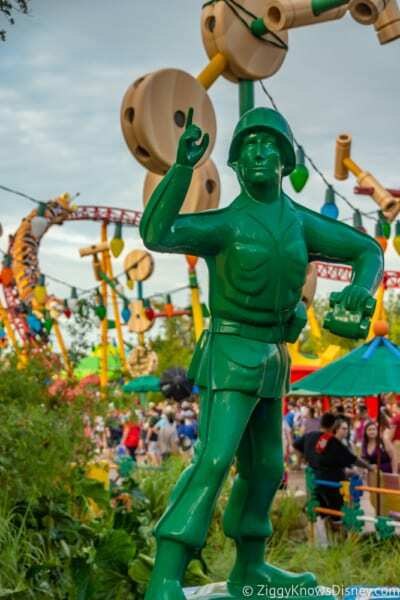 For example the Buzz Lightyear statue is 14ft tall and the Green Army Men walking around are about 6ft tall which is on scale with the movie since Buzz is significantly bigger than them. And Andy’s footprints on the sidewalk are huge which aligns up with size of the characters. Other cool touches are the Kinex pieces making up the fences, the Christmas lights dangling over the sidewalks and the many various “cardboard” boxes all the toys came in making up the buildings. We even found out in the Slinky Dog Dash queue that Wheezy was originally a bath toy! Lots of cool elements throughout the land and I’m still discovering new stuff every time I go. The landscapers are to be commended for “closing you in” and making you feel like you are really in Andy’s backyard from most of the land, though you lose this a bit when you get towards Alien Swirling Saucers because you can see into Galaxy’s Edge (though I’m sure that will be blocked off better as construction continues there.) And even the music is also really great and there are a good variety of tracks from Toy Story done in different compositions, all of which stick in my head! 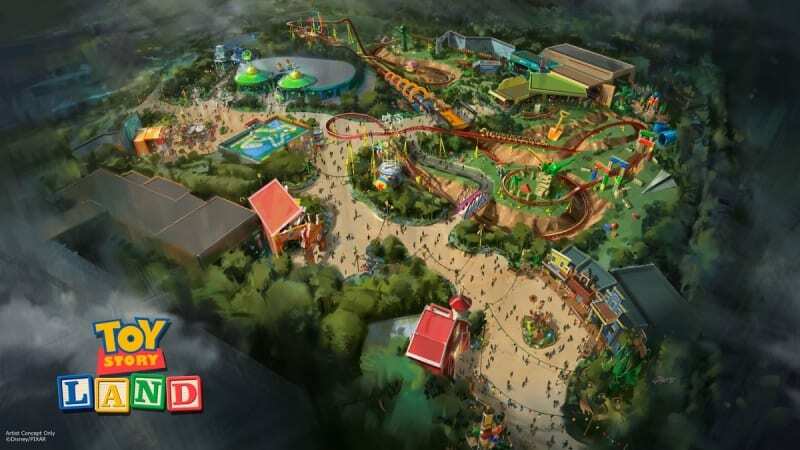 One big positive about Toy Story Land is that it brings 2 new attractions to a Hollywood Studios in desperate need of rides. The Studios is in the middle of a transformation and is really missing attractions, especially ones that appeal to kids and families. 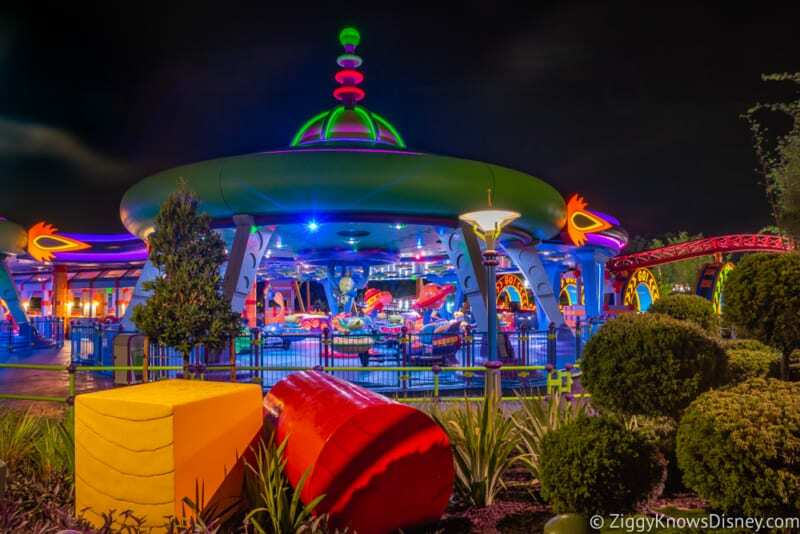 For that reason Alien Swirling Saucers and Slinky Dog Dash are the right type of attractions. I said “type” because I think they are executed with different levels of success. We really liked Slinky Dog Dash and I’d rate it a solid 4 out of 5 stars. The story behind it is that Andy basically combined two toy sets (Slinky Dog and Dash and Dodge) to make one big roller coaster, and you can see his drawings for the ride throughout the queue which are super cute! Because of changes to the design and initial reports that it was testing at only about 1 min 15 seconds I was worried that it wouldn’t deliver on the fun. Instead it comes in at about 1 min 50 sec and I couldn’t wipe the smile off my face through the whole ride. The trains are 9 rows of 2 people per row and each person has their own lap bar which is convenient. The train itself feels very solid and not cheaply built at all. I was really impressed by how smooth the overall ride was, and even though there weren’t any big drops or loops it was thrilling without being scary. The boosters were great and one of my favorite effects was at the second booster when you look to the right and left and see the old Hot Wheels spinners with flame stickers on them spinning to imitate the flame effect. Brilliant! 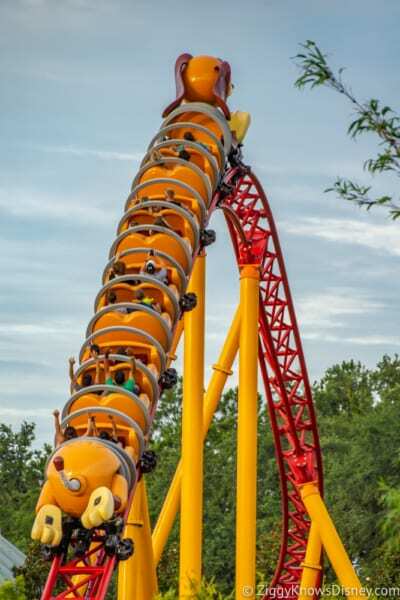 I’d say it’s on the same level as Seven Dwarfs Mine Train as far as thrills, and more so than Barnstormer. The only thing that Seven Dwarfs Mine Train that’s better is the show scene in the mines, but I think the overall track is better on Slinky Dog. 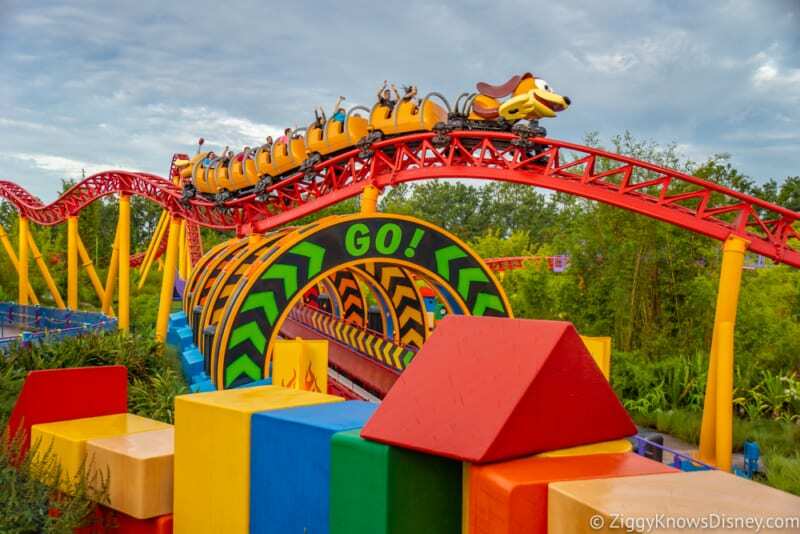 I would have liked to see the original version of Slinky Dog Dash realized (it’s a shame to think of what could have been) and it could have been about 30 seconds longer, but overall I was pleased with it. 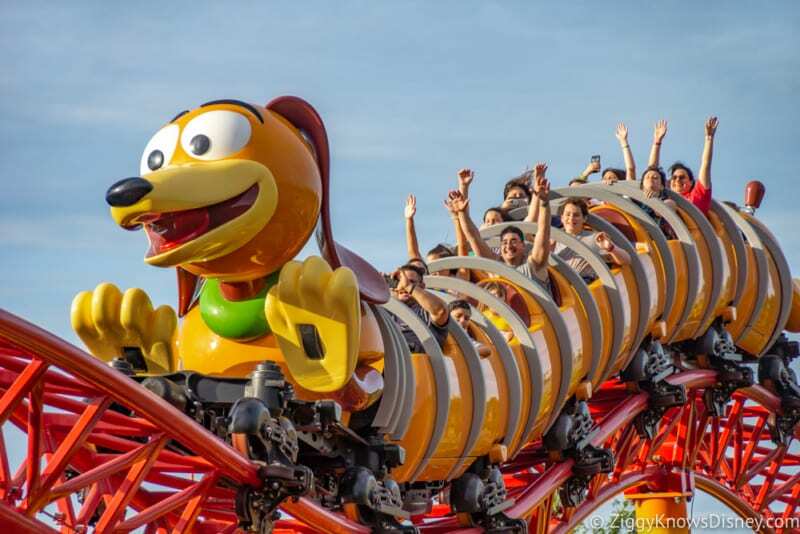 Though lines for Slinky Dog Dash got up to 5+ hours (and another 2+ just to get into Toy Story Land) on opening day, we haven’t experienced ridiculously long lines since, maybe 1 – 1.5 hours max for the most part. If you can’t get a FastPass+ for it then come first thing in the morning or later in the evening you won’t have a problem getting on. Read our Toy Story Land FastPass+ Guide for more tips and strategies on getting on the attractions you want. Alien Swirling Saucers in my opinion was less impressive than Slinky Dog. It’s the same exact ride as Mater’s Junkyard Jamboree in Disney California Adventure just substituting the trucks with Aliens. The queue wasn’t nearly as interesting and the ride is just about 1 min long. I’m sorry, but if I have to wait 45 min for a 1 min ride, and one that’s almost devoid of theming, that just doesn’t do it for me. Lots of missed opportunities here imo. Since “The Claw” was heavily advertised before the ride opening and really doesn’t do anything, it would have been much better if it raised and lowered for example. But it just didn’t do anything special. The idea is cute, but it’s nothing that I can’t find at any amusement park around the country. If it’s more than like 20-25 min or you can’t get a FastPass+ for it then I’d just skip it. Another missed opportunity was to update Toy Story Mania to a newer version of the game. I love Toy Story Mania as much as anyone and for me it’s a must play every time in the park, but seeing as it was already closed for some time due to setting up the new ride queue (it was great seeing the return of Mr. Potato Head btw), they could have taken that opportunity to at least mix up the game giving it new levels and maybe some 4K screens with new effects. Maybe that would have taken too long or something, but now that the other two attractions are running, let’s hope Disney takes the time to do something similar in the near future. 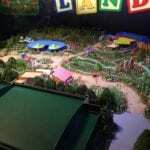 You can see our full walkthrough of the Toy Story Mania queue here. As much as we liked the theming and Slinky Dog Dash, the overall star of Toy Story Land is Woody’s Lunch Box. 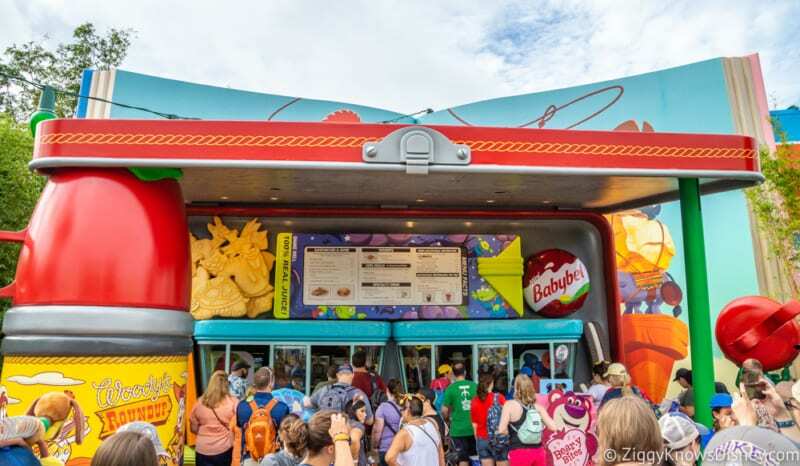 In our Woody’s Lunch Box Review we raved about it and it immediately rises to the #1 position of Quick Service Restaurants in Hollywood Studios, in a theme park that desperately needs some good choices. Everything we tried we loved! The Grilled Cheese, BBQ Brisket Melt and Totchos were all out of this world. 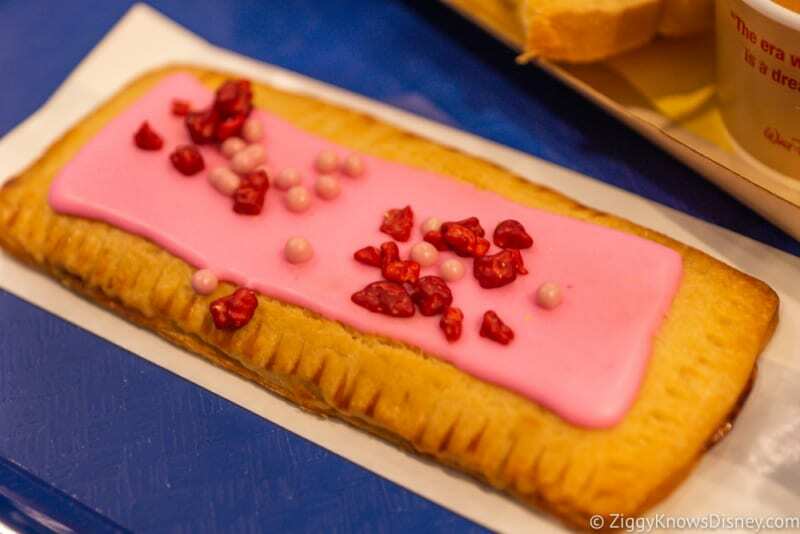 The hyped-up Lunch Box Tarts were also very enjoyable, especially the Raspberry ones which we would literally get with every meal. The drinks are great too, the Root Beer Float is great if you’re looking for something refreshing on a hot day, and the Grown-Up’s Lemonade was amazing too! The only question I have has to be the decision to make Woody’s Lunch Box the one and only food location in the land. The contrast with Pixar Pier in Disney California Adventure is plain startling as they have no less than 5 dining options. Why these two lands were built/redesigned at the same time with such a different attitudes towards food is shocking. Even if you make Woody’s Lunch Box the only food option in Toy Story land, then at least make more than two windows. Because of that lines often are over 1 hr long. And with Mobile Food Order being spotty here in the first few weeks of operation that makes for a problem. 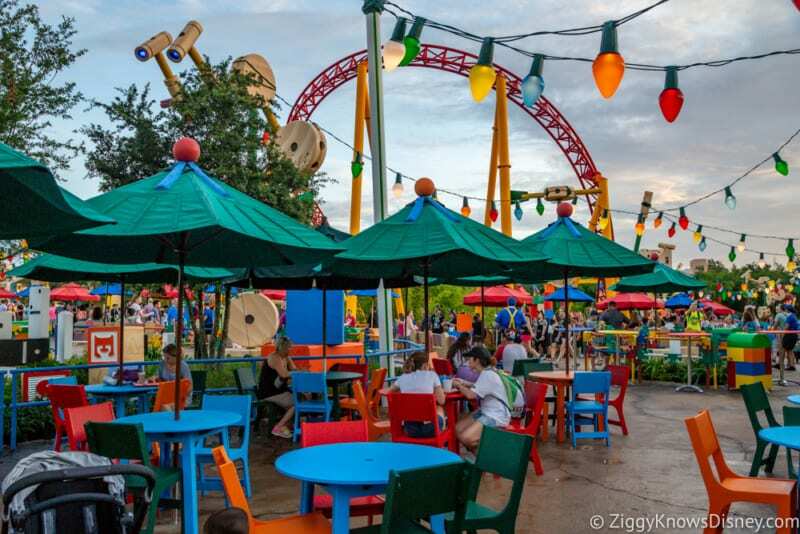 You have to remember looking forward, Toy Story Land will be somewhat of a stop-over for guests on their way to Galaxy’s Edge or leaving from there, and many of them are going to be hungry so it’ll be interesting to see how they handle the huge lines that undoubtably will form. The first thing Cast Members told me in the days before the opening was to watch out for the heat. I have to admit that I thought it sounded pretty stupid and obvious considering Toy Story Land is in Orlando where half the time it feels like your practically on the surface of the sun. However once I set foot in there I understood what they meant…this was hotter. There is hardly any shade in the place and at times the heat was really oppressive. Now knowing this is Florida, I’m not sure why Disney didn’t do more to put areas that were shaded and protected from the sun. For example on Slinky Dog Dash, a good part of the queue is outside and guests just bake under the sun there. To prevent this Disney could have built more of the queue inside, even around the back of the building if space was a concern. Or it would have been really easy to just install some kind of awning over the queue to block the sun. And just 3 fans to keep people cool there is laughable. Woody’s Lunch Box is really the only place to find shade walking around and at least the tables have big umbrellas on them. The problem is that the seating area there gets filled very quickly and people tend to stay there well after they’re finished eating just to have a break from the blistering heat, making it hard for others who want to eat to find a table. I would have liked to see at least one air conditioned place for guests to be able to get away, even a gift shop for that matter! It’s also a problem when a thunderstorm comes (which is like everyday) not having a place for cover. 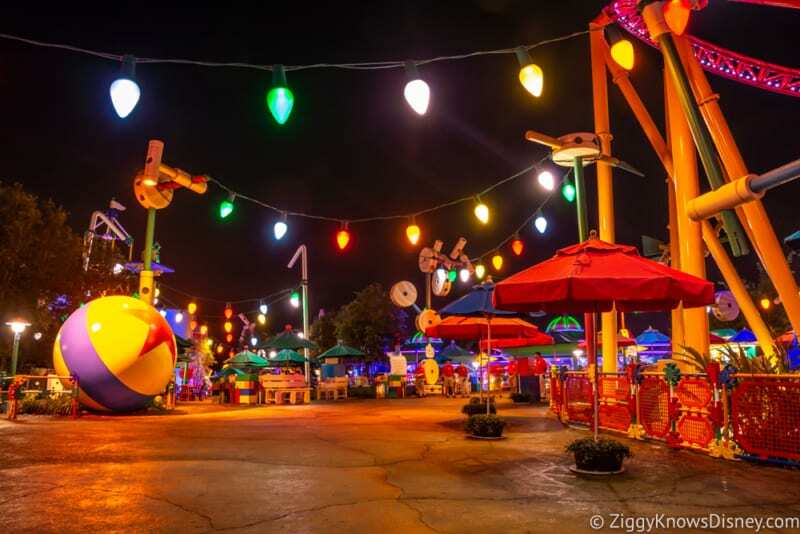 The fact that the Imagineers/Management haven’t figured the weather factor into designing Toy Story Land considering they’ve now had almost 50 years of experience in Walt Disney World is just puzzling. 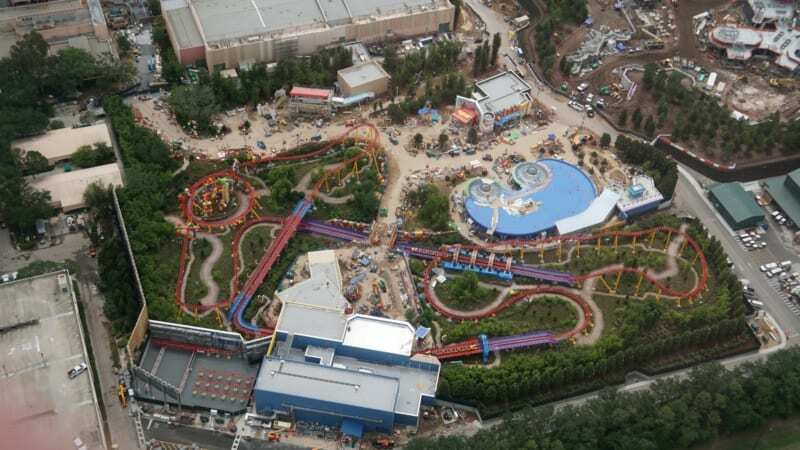 Even though Toy Story Land is billed as 11-acres, a quick look at an aerial photo will show that almost two-thirds of it is taken up by the footprint for Slinky Dog Dash. There is actually very little walking space which in the busiest hours feels very cramped, and it will be even more crowded once Galaxy’s Edge opens up and all the crowds flock there next year. For example in the original above you can see the Slinky Dog Dash coaster went into a trench that was dug down down around the track, adding to the theming. Part of the track also hung over the walkway and there was a second bridge around the ride to let guests get even closer to the action. That would have been really amazing to see! Also the shops near the Toy Story Land entrance got cut from the final version, which is really strange considering the footprint gift shops always have in the parks. And even though he’s cool now, imagine what a moving Woody figure at the front entrance would have been like instead of the immobile one that’s there. Another missed opportunity was putting in an indoor character meet and greet which they could have included in those buildings near the entrance instead of just having them meet guests basically on the sidewalk like Buzz Lightyear is doing now. It also could have been another escape from the sun and heat. 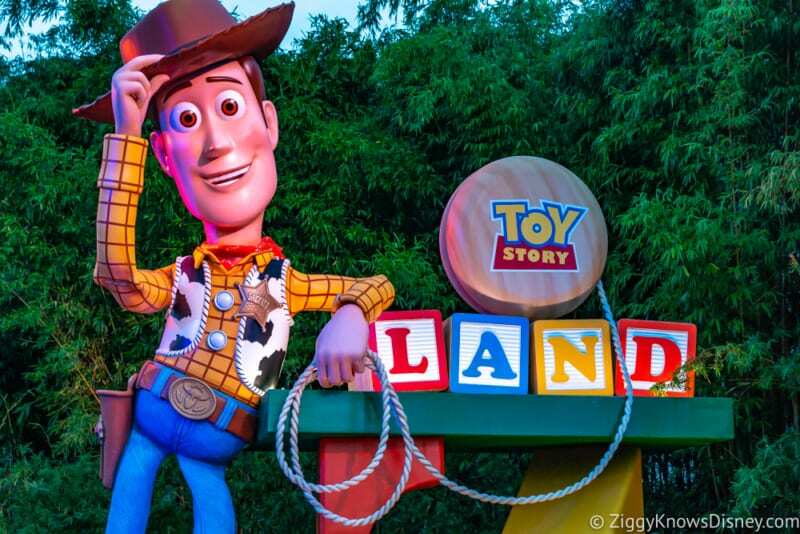 Toy Story Land isn’t the life-changing addition that Star Wars Galaxy’s Edge is going to be next year for example, but it’s a solid addition to Hollywood Studios and adds some much needed options for kids and families. I guess I’m more objective than some Disney bloggers who only were expecting it to blow them away and holding it to the same standard as Galaxy’s Edge. Would that have been nice? Absolutely. But I knew it that wasn’t realistic and I think some of them just like to complain and say sticking things all the time to get the biggest reaction out of fans as possible. Woody’s Lunch Box is a smash hit, Slinky Dog Dash is super fun and the new queue in Toy Story Mania is great. 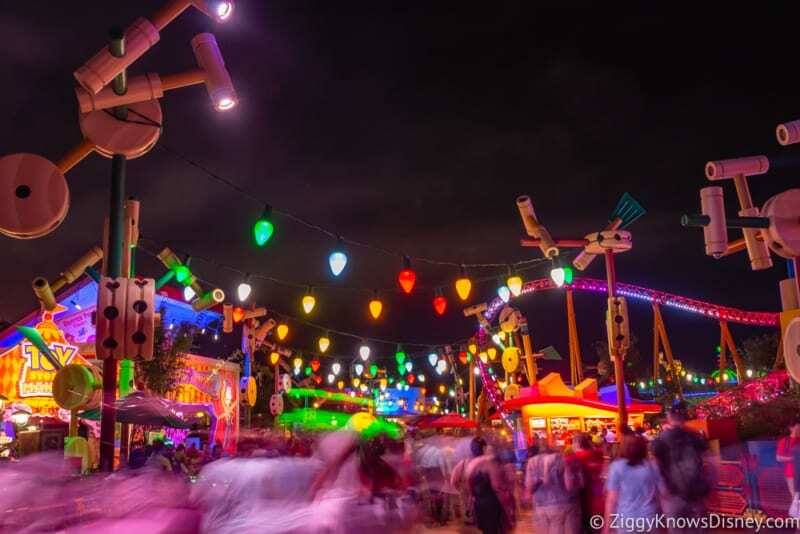 Also to get the best experience you need to visit Toy Story Land at night where the land completely transforms and all the bright lights bring it to life. 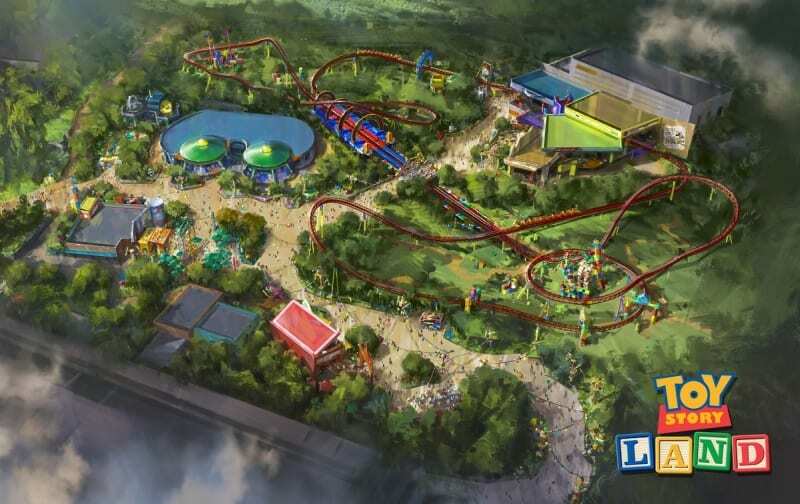 On the other hand innovention and creativity is what is supposed to make the Disney parks stand out from the rest, and it’s little things like what I mentioned before that could have been included which would have made Toy Story Land something people would have talked about for a long time. I’m not going to blame Disney Imagineering for that, they did as much as they could with the budget given (which was around $200 million). What we got was still really fun, but it had a bit more potential. Toy Story Land is obviously going to get a lot of traffic over the new few years so we’ll see how it holds up during that time. Right now I’ll say it’s definitely a fun land, more fun than I thought it was going to be, but just slightly coming under the mark of what I think it could have been. It does what it’s supposed to do and if you are coming to Walt Disney World with your kids or if you’re a big Toy Story fan then it’s must-see and you’re probably going to leave with the same smile on your face that I did. What are your overall impressions about it? What if anything can be done to improve?